Precision bearings according to ISO grading standards are divided into: P0, P6, P5, P4, P2. Rank higher in turn, where P0 is the general accuracy, other grades are precision level. Of course, different classification standards, different types of bearings, their classification method somewhat different, but the meaning is to the. 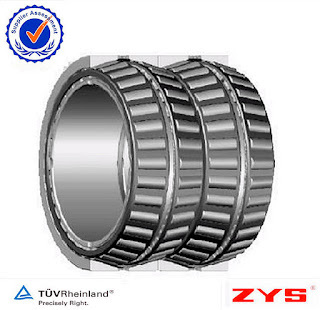 The use of performance requirements of precision bearings rotating body with high runout accuracy, high-speed rotation and small changes in friction and friction. How to judge the replacement period of rotary table bearing? Rotary Table Bearing plays an important role in construction machinery. If there is damage to the rotary table bearing, it will affect the normal operation of the machinery. Thus, the rotary table bearing should be replaced after a period of operation. There are two methods to judge the condition of the rotary table bearing: one is use Ferrography; the other is to use SPM/I-ID—1 Bearing working condition monitoring instrument. When using HD-1 instrument, if the pointer is close to the danger zone from the warning area, we should take the lubrication measures. If the pointer is still not returned after measures, we can identify that the bearing has problem. It is safe and economical to use this kind of instrument to judge the bearing condition and then repair it to avoid the stop of machine. Secondly, we can use simple monitoring tools to determine the replacement time of rotary table bearing. Operators can hold tools against the nearest machine part of bearing to judge the operation condition of rotary table bearing from the sound from the tools. The normal operation sound should be even, stable. What are the storage conditions for cross roller bearings? Cross roller bearing is a kind of precision bearing with special structure. It also requires special care during storage. The accuracy and quality of cross roller bearings can be maximized only in the proper environment. What are the storage conditions for cross roller bearings? 1. Cross roller bearings shall be stored in a clean, dry environment. Temperature and humidity shall be controlled within an acceptable range in handling and storage. 2. Some bearings have a certain shelf life. For example, bearing with dust-proof cover and oil seal, when stored for a period of time, the starting torque of the bearing will be larger than the new bearing. At the same time, the lubricating performance of lubricating grease will be destroyed after long storage, so the bearing should be checked regularly for maintenance. 3. To ensure the normal and reliable operation of the bearing, adequate lubrication must be applied to prevent direct metal contact between the rolling body, the raceway and the cage, resulting in wear and corrosion on the bearing surface. Therefore, in a variety of applications, the choice of appropriate lubricants and lubrication mode is extremely important. 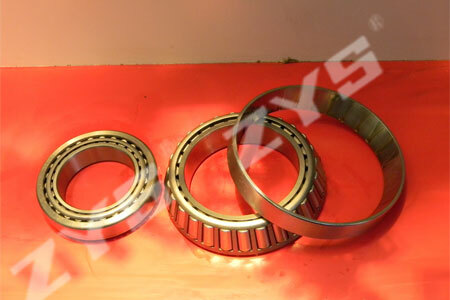 Development of oil film Four-Row Taper Roller Bearing main parts, began in the late 1950s, in the case of a no pattern, nor information, three non-proprietary equipment carried. Development of oil film bearing the main parts, and easy, from material selection, process route, processing methods to special tooling design and manufacturing has a set of procedures. From the choice of materials, taking into account the friction pairing sleeve material, drogue process of forging, steel sleeve and liner combination of process steel sleeve friction material; from the process line, to meet the cone, bush of the technical requirements, but also use the existing processing equipment, which in itself requires a good combination of theory and practice, for example, the inner surface of the steel jacket of how physical (including machining) and chemical treatment in order to increase the binding force ; in the processing method, we know, it is the civilian liner sleeve and the highest precision, surface roughness sleeve Ra0.05μm (bush is Ra0.2μm), high precision geometric deformation is difficult to control, surface roughness low, the need for super-finishing, the surface does not allow multiple prism, spiral, chatter and the like; design and manufacture of special tooling, is also very important, it is to achieve processing methods to ensure that critical machining accuracy. 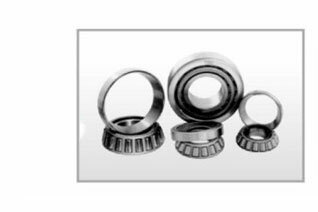 Early 1960s, completed the development of the film Four-Row Cylindrical Roller Bearing the main parts of general machine tools manufacturing. The late 1960s, Taiyuan Heavy Machinery Factory built a rolling mill oil film bearing specialized production workshop, and began manufacturing rolling mill oil film bearing of the whole of the New. Whether in any industry, or any mechanical parts, we are most concerned about is the safety issue. 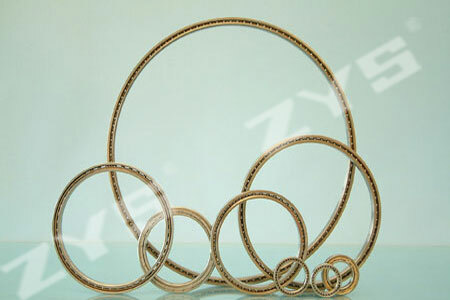 Especially slewing not only can be used in machinery and equipment, also used in military, aviation, playground, so that the security of slewing ring is very important. 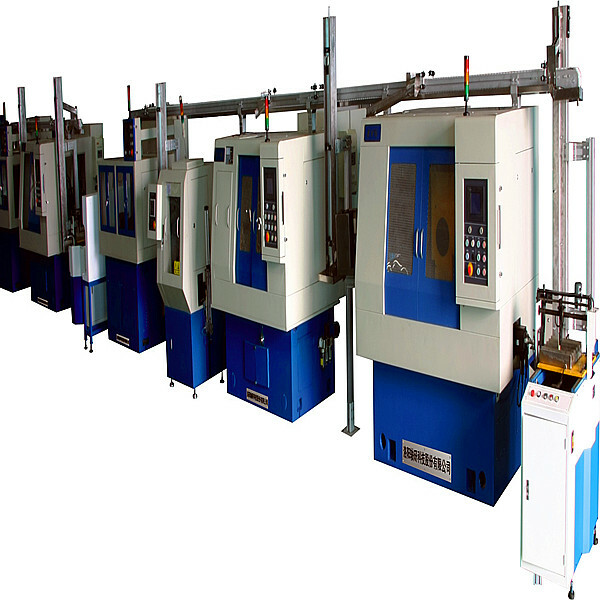 Orson Xuzhou Slewing introduction: We do not worry about the safety of Slewing bearing, angular contact ball bearing in the machinery because there is a significant role, so the production of slewing ring has strict requirements. Inspections in the slewing ring is checked through a number of technical personnel, qualified to sell the factory. If you still worried about the safety of slewing ring, everyone at the time of purchase can also choose reputable manufacturers.Orson Xuzhou Slewing description: slewing ring has a high quality of protection, because slewing ring to withstand mechanical steering force, so strict rules slewing ring must reach a certain size, if any, does not reach the required product is not for sale . While slewing start small friction coefficient, consumption is small, can be applied in hot or cold places, and there are very high hardness. In fact, many people may have found the problem, when turning on the machine, we can hear from the bearing raceway loud noise, so we were a bit worried that the machine is not what's wrong, ah still not normal. 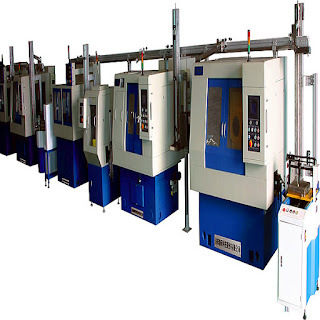 In fact, we do not have to worry too much about this issue, under normal circumstances, like some of the seven types of bearing manufacturer will issue a rolling sound of 30 decibels, and it is the noise characteristics and regularity, the first noise it emits sound and not every time, is a variety of random sounds, because the tapered roller bearing each machine running speed and various other factors that are not fixed, so the sound is not the same. But no matter what changes speed, the noise is almost constant while the main frequency sound pressure level is increased with the increase with the speed, when the bearing raceways total sound pressure level is lower, even if the speed increases, the total sound pressure level also increased little, overall, in slewing bearing noise is a normal thing, do not worry too much. The utility model discloses a belt drive continuously variable transmission device of the driven wheel structure. The angular contact ball bearing portion of the driven wheel outer face last week triangular projections uniformly distributed, power output shaft through the cylindrical wall of the sleeve shaft seat chamber and the axial end surface of the bore hole and the circumferential surface of the shaft fixedly connected with the cavity, compression spring driven wheel mounted on the movable portion between the seat and the sleeve,bearing ball the sleeve wall is provided with a cylindrical seat number and the same number of triangular projections gap, the shape of the cylindrical wall was the same after the commencement of an equilateral triangle, the triangle notch projection engagement. The utility model to overcome the existing technical main driven wheel movement and often can not keep pace reducers defects have avoided belt slippage, high transmission efficiency and transmission characteristics of large capacity. luoyang bearing research institute Co., Ltd.